The Gifford Center sponsored a seminar by three members of the Russian Academy of Sciences that highlighted the emigration of 10 million of the 150 million people from Russia after the breakup of the USSR in 1991. There is large-scale migration between Russia and the CIS countries, but the seminars focused on migration between Russia and non-CIS countries. Official government data are sparse and can be misleading because many Russians living abroad remain registered in Russia as residents. Sergei Ryazantsev divided the emigration into three waves, 1991-97, when many Russian emigrants were accepted as ethnic Germans or Jews abroad and engineers and others displaced when the military-industrial complex shrank emigrated, 1998-2008, when labor migration motivated by the 1998 financial crisis accelerated the movement of those who could leave and oligarchs who invested in the UK and other countries, and since 2008, when the middle class outside Moscow and St Petersburg joined students, oligarchs, workers, and others from these cities seeking opportunities abroad. Emigration is often linked with capital flight from Russia. The three major destinations of Russian emigrants are Germany, the US, and Israel. Official Russian data often underestimate emigrants. Australian, Greek and Portuguese data show far more Russian-born residents living in these countries than do Russian data. Some Russians spend part of each year outside the country, making it difficult to distinguish emigrants from circular migrants. The disapora of Russian speakers is 25 to 30 million. Ryazantsev emphasized that Russian communities outside Russia are more akin to islands than closely linked communities bound by being Russian citizens (some have naturalized), being born in Russia, speaking Russia, being Orthodox, or identifying as Russian. Some of these Russian islands are large and distinctive, as with Brighton Beach in NYC, where newcomers can function with minimal English. 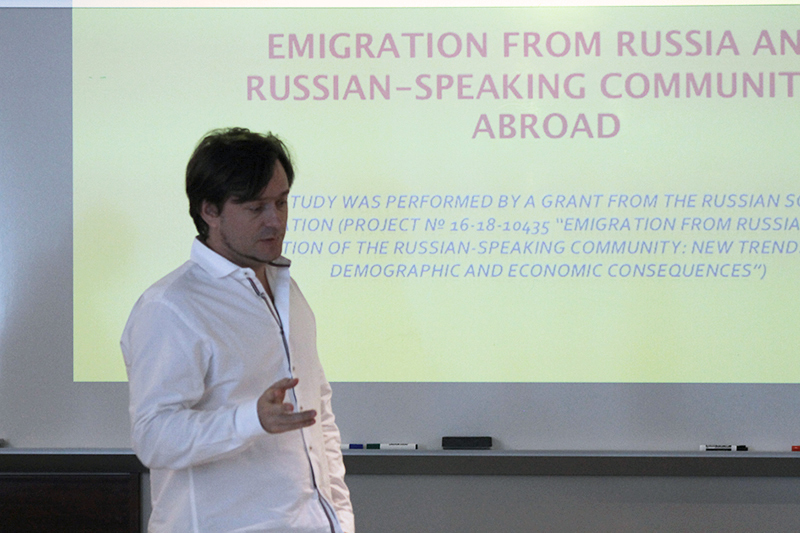 Artem Lukyanets surveyed Russian youth and found that most who plan to study abroad intend to return. However, the longer Russian youth are abroad, the more likely they are to settle abroad. The number of Russian youth is shrinking due to falling birth rates and, if more youth go abroad for study or work experience and do not return, the aging of Russia will be accelerated. European countries are the favorite destinations for study abroad, including the UK for English and reputation and continental Europe for low tuition. 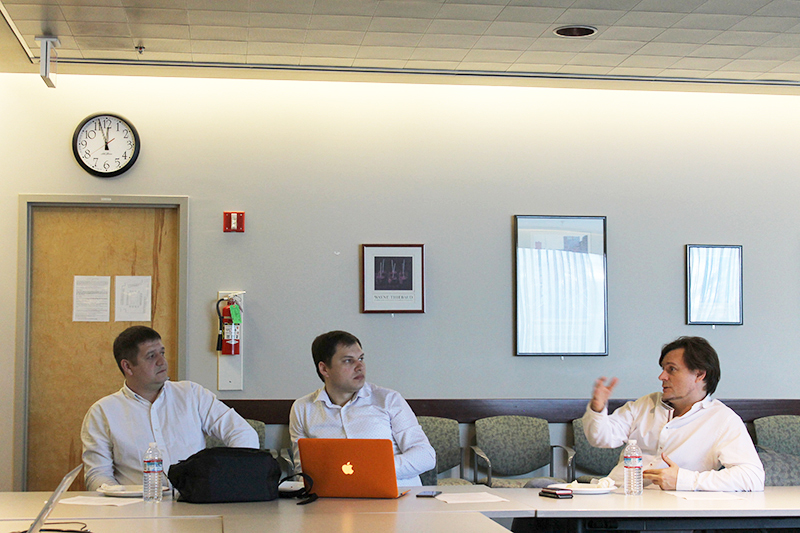 Roman Manshin examined the employment of Asian workers in Russia, noting that 60 percent of the 130,000 Asian migrants were from China, followed by a quarter from North Korea and 10 percent from Vietnam. Migrants from various countries specialize by industry and area, with the Chinese concentrated in construction, trade, and agriculture in Moscow and the Far East while the Koreans are in forestry in the far east. Chinese are most likely to settle, the Vietnamese stay three years, and the tightly controlled Koreans return; their wages are paid to the North Korean government. Most guest workers in Russia are from the ex-CIS countries. This page was last updated on April 05, 2017.